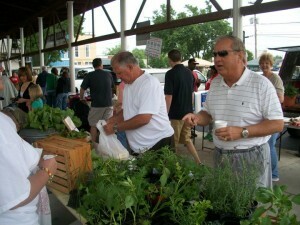 A trip to your local farmers’ market is a great way to eat healthy and support the local economy. Farmers markets provide consumers access to locally grown, farm fresh produce, and enables farmers the opportunity to develop a personal relationship with their customers, and cultivate consumer loyalty with the farmers who grows the produce. It’s harder to go wrong at a farmers market than a grocery store, but we wouldn’t want anyone to make any shopping mistakes that could detract from the experience. Here are a few tips to get the most from your market, but is easy to make the shopping online and you’re able to use coupons from sites as couponscollector.com that help getting discounts in different sites. 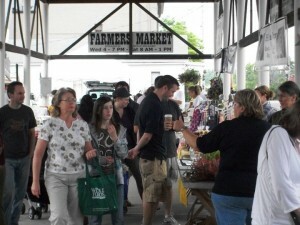 Treat the farmers market like brunch: get there early, or pay the price. Vendors will often sell out of their best products by early morning. The produce at a farmers market is usually going to be different than at a grocery store. Learn how to pick out the tastiest heirloom tomato, even though they all look equally deformed. Learn to scour the bins of Brussels sprouts for the tightest, smallest ones. Learn to snap a green bean between your fingers to see if it’s ripe. Learn to smell a melon. This is a pain, sure! But the farmers themselves will usually be happy to pick out good produce for you. At most reasonably sized markets, there’ll be more than one vendor selling certain items, whether that’s peaches or grapes or zucchini. Before you buy, take a lap around the market, trying samples, using your new produce-hunting skills to figure out the quality and ripeness of the produce, and, just as importantly, scoping out prices. You don’t want to buy the first pint of blueberries you see, only to find a cheaper, tastier pint at the opposite end of the market. Your market is likely home to products you can’t find at the grocery store. So why not try them out? Instead of a standard deep purple eggplant, why not a tiny globular Thai or a long pure white eggplant? Instead of red radishes, why not watermelon or French breakfast radishes. There’s nothing wrong with just getting good, fresh versions of what you usually eat, but the market is also an opportunity to step outside your habits and eat what’s growing nearby. But the most important tip… Enjoy yourself!